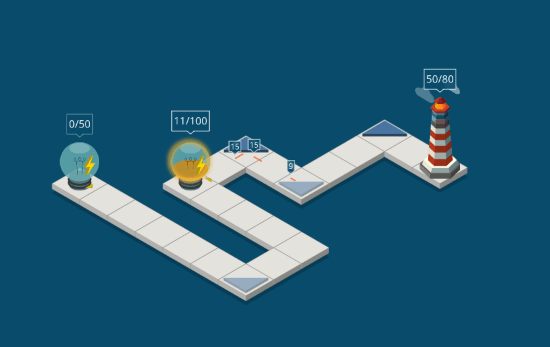 Lighthouse is a free puzzle game for Windows 8 and 8.1 computers, which will blow your mind. Yes, you heard it right. Along with minimal and awesome graphics, you get an amazing gameplay. The puzzles are entertaining and difficult at the same time. 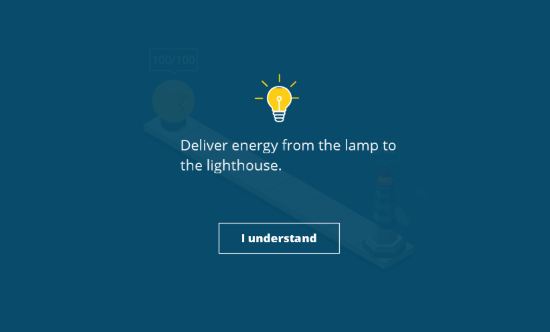 The idea is to transport power from a source to the lighthouse. There are certain paths that you have to follow in each level to transport power. The path is random, thus you will have to use reflectors to do so. You will get to know more as you read about this puzzle game for Windows 8. This game can be downloaded and installed from Windows App Store. The link to the game’s page on App Store is available below. You can also manually search by entering the game’s name in search box. This is a lite puzzle game for Windows 8 and occupies barely 4-6 MBs depending on the device its installed on. Click Install on the download page to download and automatically Install the game. This game has various levels to play. 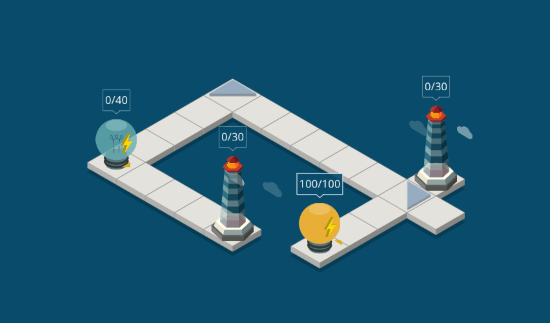 The levels gets tough as you proceed with the game. There are 9 different packs and each pack contains 6 stages. Each stage is different from each other but related. 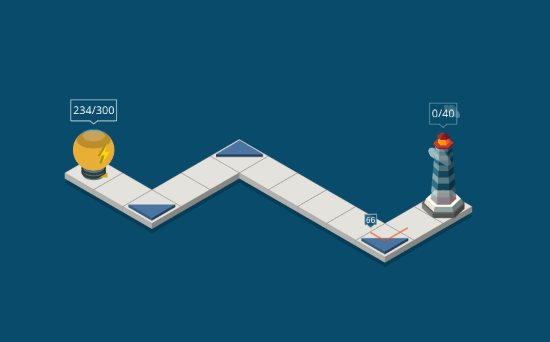 When you begin a level, you are suggested before you begin playing. 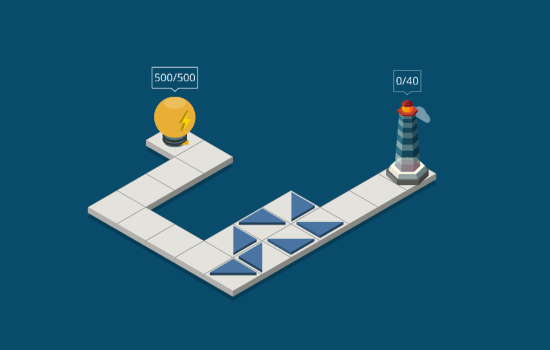 The first few levels are as simple as the one displayed above. As you move forward, you will find levels where the path and the reflectors are moving. reflectors help power to deflect in another direction, on the basis of position they are placed. This puzzle game for Windows 8 is really an interesting one. Some levels will require to act fast, as you will have to use same mirror multiple times. This will but your brain and reflexes to test. This is one of the best puzzle games for Windows 8 that I have came across. I strongly recommend this one to everyone. It will keep you busy and will also keep you sharp. Download Lighthouse for Windows 8 and 8.1 computers.